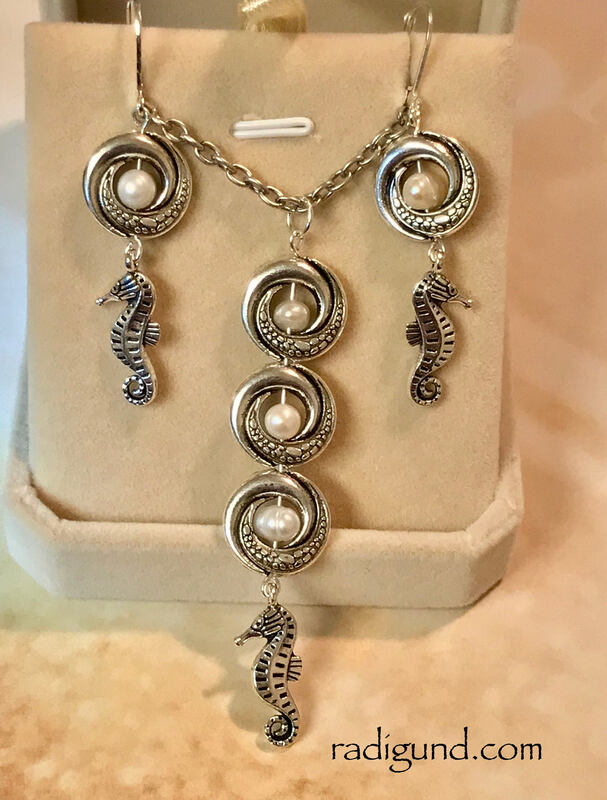 Beautiful elegant Silver Plated Jewelry Set. 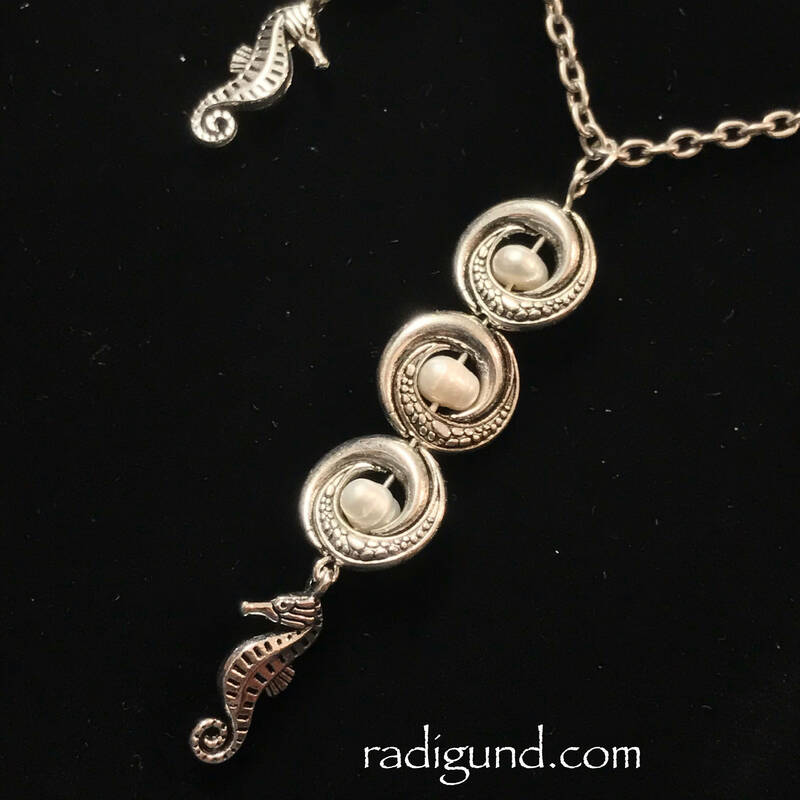 Seahorses and pearls. 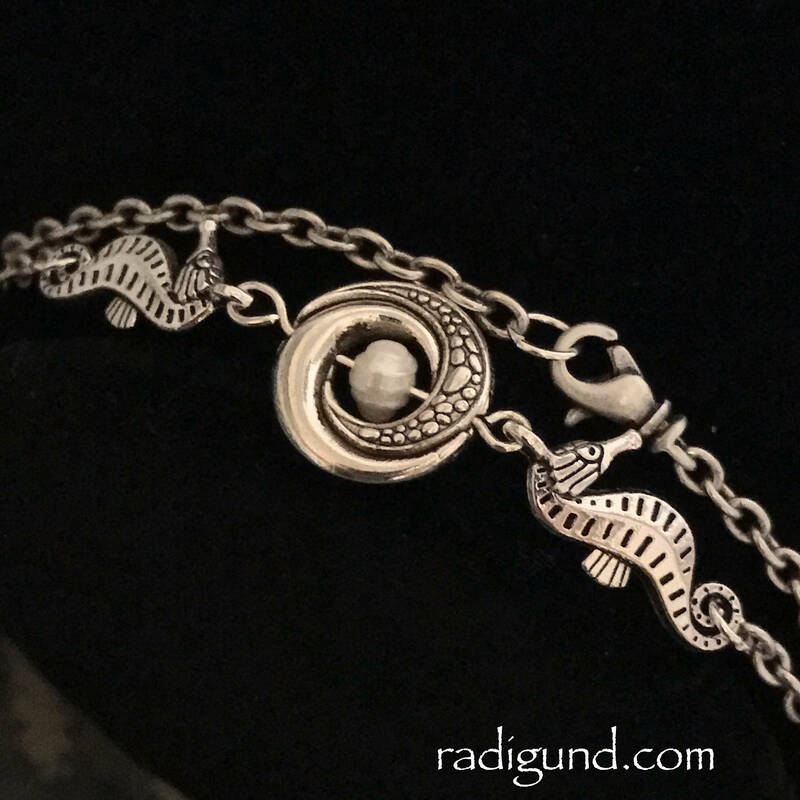 Matching Earrings and Bracelet. 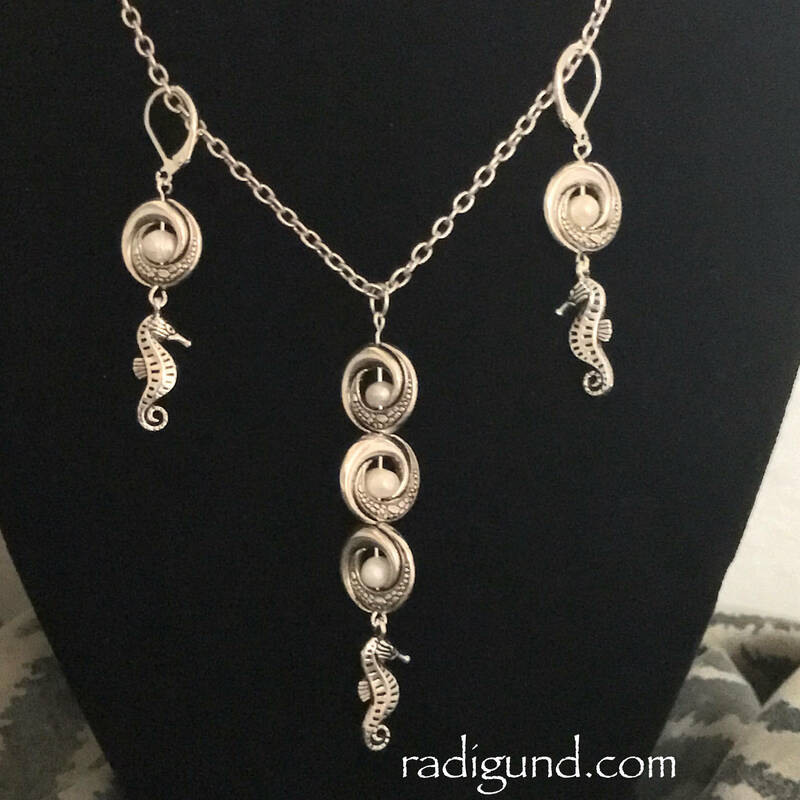 The Seahorse Pendant for the necklace hangs at the end of 3 swivel beads with a pearl in the middle of each one and is about 3” Long. 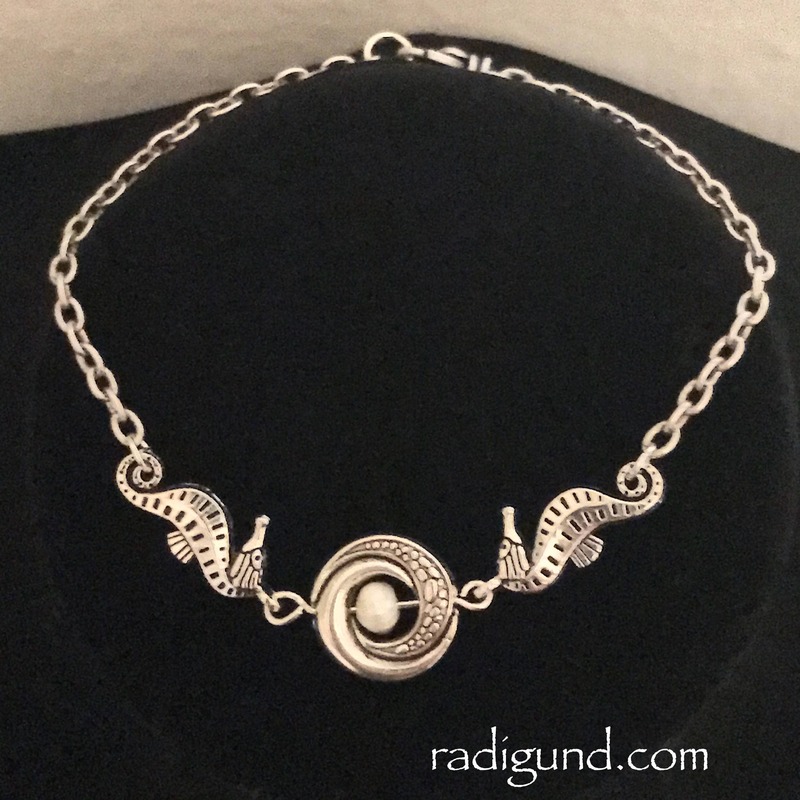 It hangs from a 20” Silver Plated Cable Chain. 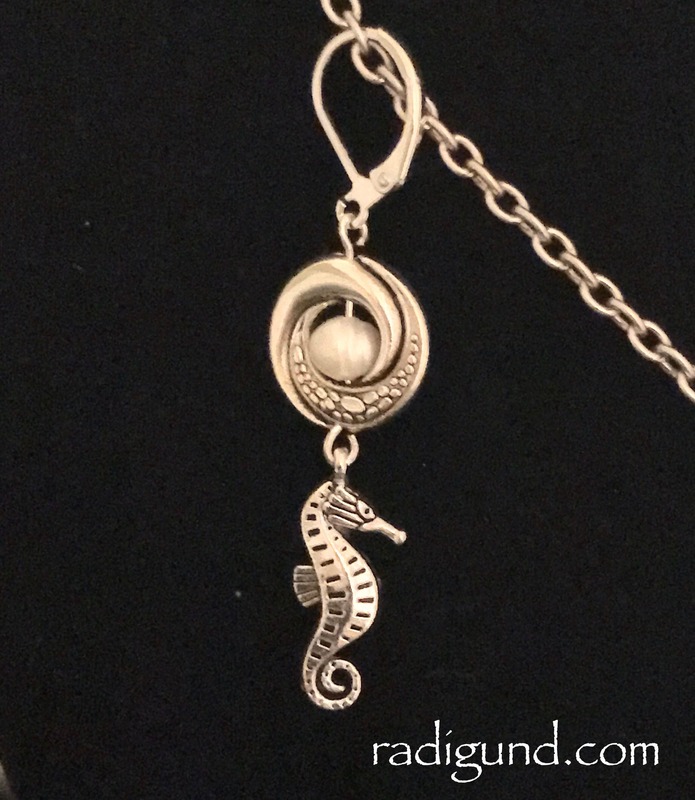 d.
The earrings are smaller have one swivel bead with the pearl and hang from a silver plated lever ear hook.